Bird boxes are a great way of encouraging birds to visit your garden and stay there year after year. 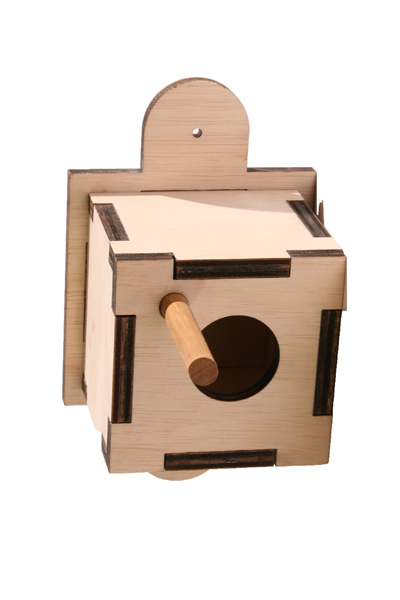 The Baby Bird Box is designed to attract and house small birds in your garden. It can easily be fixed to a tree by means of its pre-drilled screw-hole. Finished in a birchwood ply, this bird box should positioned at least 1.5m above ground level in a quiet part of your garden where its occupants will feel safe. Make sure it's not in direct sunlight or an exposed location where it could be affected by bad weather. If you have the space, you could try arranging several bird boxes, all in different sizes, that will make them suitable for species of differing sizes. Notify me when Baby Bird Box is available.